I was 17 in 1952, when these things happened. I was already capable of understanding a lot of things. Then, many years after, I questioned and talked with all those who, in some way, had witnessed this. Honestly, I did not think I could ever tell the world about what happened in that village of the Apuseni Mountains, because of the times that were as everybody knows. After the Revolution, I did not have the time to do it any more, I was always busy with what was going on around me at that very precise moment. Now I am old and I think this is the right moment to share what I know. Because these things must be known, they must not be forgotten. All those who lived then have died, and there are very few left who could confirm what I am going to tell you. I still remember that winter. A lot of snow, like we always have here, in the mountains. Only the nights were cold and the wind was blowing, but the days were almost all sunny and the children always came out with their sledges. Before the communists, the gold mine near the village had belonged to a company from Bucharest, “Mica”, a private company that extracted gold from the mines in the region. And it was tough, in fact it has never been easy to get gold from the ground, but one could make good money. And the region had developed, the people from the firm had given money for the school, for the library, they even had a bank and a cinema. Life was civilized, the miners even had a pension fund, because, at that time, the state did not own everything. In the summer of 1948, the communists nationalized this exploitation and, suddenly, nothing was as it used to be. At the town hall of Roșia Montană, they said it would be fine, that we would all live in luxury, but the reality was completely different. Poor people from the region of Moldova were brought there, to work in the underground long hours, so that the people from the Party could get all the gold, as quickly as possible. Drinking and scandals were on the daily agenda and, generally, all the region was populated with strangers. I had an uncle, he was around 80 at that moment, who had left for America around 1890, to make money, and then he returned to the village. And one day, when the songs and the shouts from the pub of the village, “Polca” was its name, could be heard up to our house, my uncle told me that in America too, in Klondike, where he had been during the Gold Rush, you could see the same wilderness. But then, people worked like crazy, just to get rich. Now all this craziness was just for survival. In Moldova, in 1946, there had been a draught and people were simply dying of hunger, therefore, desperate, they left and went wherever they could, to all the sites opened by communists, just to make some money and buy some food. But they were people without roots, always suspicious, brought to a world they feared. They were trying to adapt but they did not succeed and they ended in the most bizarre situations. Delinquents and, at the same time, squeaks for the Police, hard working people but alcohol addicts, melancholic and violent. “Polca” had a big room, built like a triangle and, on the opposite side, it had been extended with a kind of shed. The room also had a stair, that was going up to a balcony from where were hanging all sorts of hunt trophies, confiscated from the mansion of Faur brothers, who had been industrialists in that area, in the field of gold, too. Under the balcony was the entrance to the ball room, and above the door there was a sign indicating the destination of the dirty and dark room behind it. Near this door there was a counter, a kind of bar, covered with all the “tools” of a pub: glasses, plates, pans, pots, etc. And I also remember that on that wall there was a paper from the Secret Police, reproducing a sentence given by a “people”’s court: death sentence for a “bandit” activating in the mountains, Toader Ș. It was also written that, anyone who would help him, in whatever way, would be punished to a long detention. Exactly near this pretty scary announcement, was hanging an advertisement “Save your money at C.E.C!”. The miners entered this pub dirty and started to drink. Everybody knew the waiter, who was a nice guy. The men from Moldova started to sing and ordered plum brandy, this was one of the local products they had adopted quickly and with enthusiasm. — So, Mina has finally decided to take me? — Sure, answered Nicu, I got it that you are her favorite. — Then, cigarettes for everybody! — Nicu, what did she tell you? — Well! If I got it well, you are her favorite. This was the moment when everybody started to sing in unison this ballad and, as they were already merry after a few glasses of brandy, tears usually started when they got to the lyrics talking about the dog which would not recognize the one who had left, about the house with a porch that had been left behind with all its memories. There had been people who simply could not bear this longing for their homes and just left for the train station and returned to the poverty in Botoșani or Bârlad, from where they had come, giving up the work and the illusion of fortune, that was wearing them out. On a day like this, when Nelu’s song had just made another guy from Moldova return home, and in the most rapid way possible (he had just given up everything and his work fellows, who nearly envied him, had given him the money necessary for the travel), a “bandit” was caught. After the miner’s departure, the fellows started a game of poker. There was a Czech among them, Zdenek was his name, who always won, and that night they caught him cheat. After beating the crap out of him, they wanted to hang him, but, lucky him, exactly at that moment Ioan C. entered the door. 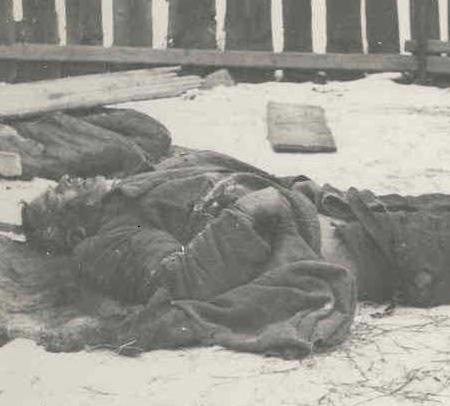 He was a lieutenant of the Secret Police, from Cluj, who had come here after the “bandits”. Ioan C. was an interesting man. Tall, strongly-built, around 40, looking down upon everybody. Of course, everybody knew who he was and what he was doing, so he was not at all afraid to appear in his uniform, which, to be honest, suited him very well. He had nothing to do with the collectivization or with the persecution of the bourgeois. He had been sent to capture a gang that had given a lot of trouble to the bolsheviks in Huedin area. Those suspected of having helped a “bandit” got into his hands and their life was finished: beatings, nail pulling, rib breaking, and if the unfortunate confessed, the next step was a trial that punished him to many years of prison and confiscation of all goods. But it seems that Ioan C. was another type of brute. He seemed to have an education like in the good old times, and the age was showing this. I found out about this later, from a historian studying recent history. If you were recruited by the Secret Police when you were 40, you were for sure a colonel or at least a major, but the guys coming from the secret police of the ancient regime and who had experience with the city pickpockets and gangsters, who knew how to trace someone and how to put different signs together, they were kept, but with inferior degrees, lieutenant, captain at the most. Their role was to teach the other stupid ones, former communist workers, who barely knew how to write. I did not realize it then, but this guy impressed me, he had something at the same time maleficent and charming. Great poker fan, he frequently stopped at the pub, to play with the miners until late at night, but also to hear what people were talking about in the village. Many of the miners had become his private snitches. — Come on, guys… Is death so awful! A sudden shock, a gasp, and all is over! I know a much harder sentence. Give me his card! — Here, on your heart, like you were wearing a flower. You won’t touch the cards again. This will be your mark. If you take it off, I’ll let them hang you on the first tree. And you, all the others, you tell everybody what this means. — Așbei, any news about the bandit? — Almost nothing for three months. His gang is from this area, they are cunning and quick. Take care, Ioan, I am going to bed, I am beat. Good night everyone! It was the moment for the mistress’ arrival, Minerva. People called her Mina. She was a young girl of ravishing beauty, tall, blonde, with a serene and innocent look in her big blue eyes. I had never understood what a woman like her was doing here. All these primitives living among us were looking at her like hungry wolves. And I must admit that me too, I was head over heels in love with her, like a teenager. If I happened to get near her, that air of freshness suddenly troubled me. She had a dimple in one cheek, and when she smiled she was irresistible. She dressed as you were expecting from a village school mistress, with a skirt over the knees, that let us see her long legs and with a white shirt, unbuttoned at the neck, that made her even more attractive. As all miners were extremely poor, and the communists had decided that illiteracy had to be eradicated, Mina came to teach the miners how to read and write. But in those crazy times, in order to tame a little those savages, Mina used to read them from the Bible. The priest had been arrested a long time ago, so there was nobody left to tell the people the difference between good and bad. The communists looked awry both at the Bible and at God. But Mina had this crazy courage to speak about religion even when the officer was present, because she knew that the lieutenant was in love with her and she led him a dance. On the other hand, Ioan did not give a damn about atheistic slogans, he had other business. So he started to court her, as he usually did. He was married and she always teased him about this, but he used to tell her that, if she gave in to him, he would divorce at once. And while they were teasing each other, a stranger came to ask for a glass of brandy. He appeared unexpectedly, the man was as beautiful as an angel, he had a dark and lively look. His hair was black, curly and pretty long. He was dressed like a guy from the mountains, with boots and a long cape over his dark colored clothes, that resembled a uniform. He had a small scar on the right temple, which made him look even more mysterious. It was curious that he seemed to know Mina at least by sight, because they greeted each other. He said he was coming from Zalău, where he had happened to meet the school mistress. The lieutenant was red with anger and started to question him. The stranger stepped back. He was pale and was staring at the lieutenant. He kept his right hand under the cape, as if he was hiding something, maybe a gun? Now I know it was a gun, but then I did not know what it could be. — Come here, boys! The stranger wants to tell us about his business here, the lieutenant called the miner fellows, who started to draw nearby, with threatening looks. — I know him. And I vouch for him! — What about playing a game of poker later? — You bandit, let me see your face. You’re with Toader Ș.! — I ran away from him. I can show you where he is. I am not lying. — Do you know where he is hiding? — Yes, I know the street, I can take you there. — Let’s go! The lieutenant discussed a little more with Așbei, he was obviously planning his next steps. — Tie him up, said Ioan C., and they all left quickly. — We are going to get Toader Ș.! Curiously enough, nobody had noticed that, when the “bandit” had asked for a glass of brandy, before leaving, the stranger had left the ball room and was staring at him. They were both pale and with clenched teeth, like dominated by a terrible tension. The bandit managed to say only that they could get his boss only if he was left to enter the forest alone and to get near him. Once he calmed Șușman’s vigilance, he would whistle briefly and the followers would intervene. Suddenly, I felt the lieutenant’s hand, like a crook, pressing my shoulder. We all left. Looking behind, I saw the stranger entering with Mina in the pub now empty. It was only 25 years later that I found out what had happened there, and also what were the explanations for other events that took place in Roșia Montană, at that time. I took the street where the village whore lived – of course, all the miners knew her. The youngsters from the village came to her only secretly, but the men from Moldova visited her all day long. It was impossible for me to think that the head of a gang could have entered that house without being seen, when so many other men were coming and going that way. Of course, we did not find him there, as the prisoner had told us, so we headed towards the forest, on the hill. The “bandit” was supposed to be let free, so that he could go and call his chief, meanwhile we were supposed to hide. But once we got to the first trees, he turned tail and, no matter how good a shooter was the lieutenant, he still missed and the man disappeared. We got back to the village, discussing what had happened, while Ioan C. and Așbei were cursing like blazes and were quarreling. I got home, my father was worried that I was late with his cigarettes. I told him what I had seen. — My boy, you have grown up now, you can understand a lot of things, but be careful! Don’t you ever talk to anybody about what I am going to tell you now. Do you get it? I shook my head, I could not speak, because I had never seen my father so serious. — These are not bandits, my boy. They are partisans, they are haidouks. The gang of Toader Ș. are in the woods and they wait for the war with the Bolsheviks to start, and then it will be terrible. His father was a mayor in a village near Huedin, in Răchițele, and the communists simply dismissed him and took all his goods. And he left in the mountains, with his sons. There were many rats in that village, who tormented his family and took men from the Secret Police in the woods, so that they could get the old man and his children, and also all those who had gone with them, as they are numerous. And the old man’s wife was beaten to death, the youngest children were deported and one of the eldest boys was caught and nobody knows where he is imprisoned. The same story like Priest Nicolae, from our village. — So they do not rob people? — Not at all. All these are stories for unripe minds like yours. But the old man took revenge on Suciu, as that was the name of the one who was harassing his family and who took his fortune. People from his band who were not from Răchițele went to his house at night, dressed as Secret Police agents and took him – they said the old man had been caught and he was asked to come and recognize him. And this man was so happy, as he was waiting for a reward for his betrayal, and he went with them. When they got to the woods, they found the old man in a clearing, tied to a tree. And Suciu started to hit him, to curse him, to cry about how he was going to punish him, and to ask why he had destroyed his family. And then the old man, who had not even looked in his eyes until then, untied himself and the others revealed they were not people from the Secret Police, but Ș.’s haidouks. And they killed him like a snake. And the old man, when he saw that everything he had worked for all his life had gone, he killed himself and the Secret Police carried his dead body, on pitch forks, around the village, and finally they dumped his dead body in a steep. But still, they did not catch his sons, because the band of haidouks was inherited by the eldest son, Toader Ș. He is a tall, handsome man, all girls in the village are mad about him. The communists left no stone unturned to catch him, but they did not manage, even if they surrounded him with the army, in the mountains, for weeks. They met him and his gang several times and they aimed to shoot him, but all they did was to scratch his head. — Where exactly? I asked, with my mouth dry. — Here, on the head, my father said and he knocked easily on my right temple. I froze. That meant that the stranger in the “Polca” was nobody else but Toader Ș.! And I could not get to sleep that night. I think it was past midnight when I heard a shot from the mistress’ house, who lived not far from us, three houses away. My father had got up too. I cannot explain why, we got dressed and we waited near a rushlight. We had been staying for nearly two hours when the miners and the Secret Police lieutenant came and took us. — You must come with us, to catch Toader Ș. If you refuse, it means you know him and you’ll spend your life in prison. He is hurt, we can catch him quickly, and if not, anyway, the army is coming in a few hours. The miners were excited, as if they were taking part in who knows what great exploit. Most probably they had no idea about what was going on, just like me, a few hours before. My father’s look was as cold as ice. We continued our walk in the woods until morning. The man from Secret Police had an electric lantern and he was looking for the blood drops in the snow. We found Toader Ș. in the morning, exhausted, behind a tree. He was even more pale than the snow around. 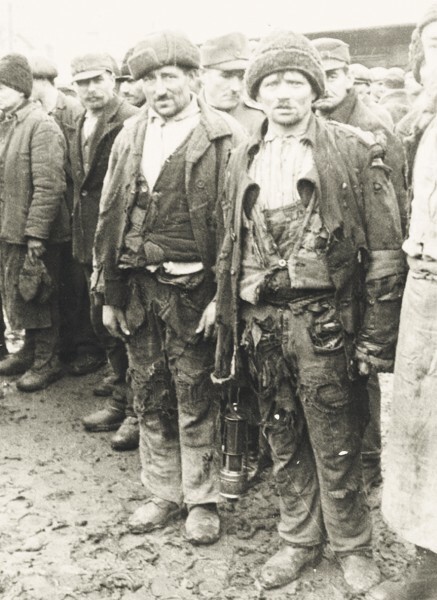 He did not get to take his gun, as the miners caught him. Ioan C. took a folded paper from the breast pocket of his uniform, which was the same as the sentence posted in the pub, near the bar. — Bandit, you’re gonna see your death right away! — Come on, Ioan, the waiter whimpered, trying to save his cousin. — A bandit! Let everyone know this! He had come to steal the money for the workers’ salaries! — Really? This is Minerva, the one that everybody wants! A bandit’s lover! Așbei was all red and sweating, and he was crying happily that they had got the bandit. The agent looked severely to Nicu. — I cried for her love, you see what I mean? Now it is her turn to cry her heart out. We had all got near the haidouk. He was up on his feet. The miners had already tied him up. The agent approached. 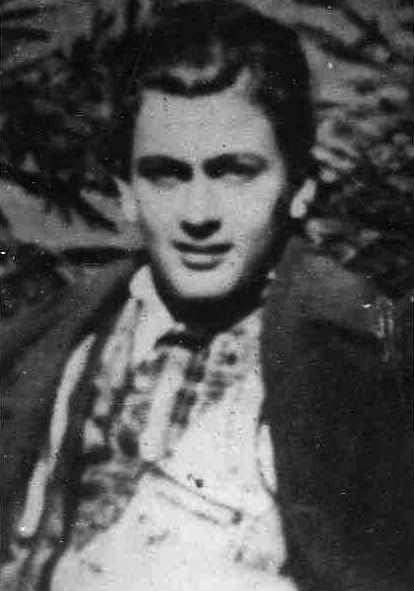 — Ionescu from Zalău. This is the end. Devil could have woken you when you should have died from cold. But God helped me to be here and to spit you in the face before killing you. — Let him speak! It’s his right! — Thank you, Sonora! the haidouk moaned. How did he know his name? I never found out. In that place and at that moment, nobody seemed preoccupied with this detail. They had all calmed down and were tensely waiting for the “bandit” to speak. — For her, I am begging you for a favor only for her, not for me. Promise me just this: that she may never know how I have died! We were all upset. We looked at each other without understanding. This man was going to be executed, as he was condemned to death, and all he seemed to care about was the school mistress’ pain. The lieutenant was choking with amazement. And in that unusual silence, where we hardly started to fully understand what was going to happen, where we could hardly hear our breathing, but we only saw it, in that silence where even the snow seemed to stop crunching under your feet, to our complete stupefaction, the bandit started to sing a ballad we had never heard before. I think only my dad and I understood what he meant. And I started to cry silently. My father was stock still and he seemed ready to attack the agent he was staring at. For a moment, I was afraid for him. But we did not have time to do anything. Suddenly, with a noise that seemed to come from the inferno, from the bushes around, with a terrible neigh, appeared a horse, mounted by Minerva herself! She got near the lieutenant and put the gun to his head. — What justice are you talking about, old goat? she cried to him, loud. — Mind your words, girl! — What can you do to me? I am not afraid of you! — Get her, she’s alone! Stop her! cried the lieutenant. She can’t do anything! Get her! Mina looked at them trembling with fury, while the gun pressed on the lieutenant’s temple left a red mark on his skin. — You want me to stop? Was ever one of you who said “Stop it,” when I gave up the best of my days to you? When in the midst of oaths and quarrels I used to share your worries and your want with you like a comrade? Not one of you did ever then say “Stop it!” I claim this man as mine. Mine from God!! As God blessed him to go on with the hope of another life, a better one. You cannot kill him, because the bandit you heard of does not exist. I heard it last night, in my home, from him precisely. è già morto lassù, sotto il mio tetto. Nobody dared do anything. And then, as quick as lightning, the haidouk mounted near her and off they went. Before we realized what had happened, they were already far away. A big inquiry started the days after and the forest was packed with soldiers looking for the “bandit”’s traces. But no luck! I saved some money, working as a miner, I wanted to leave that place, that the Secret Police had made unbearable. Because all Minerva’s relatives or friends were arrested and everybody was considered a suspect. To make some money, I also sang in the party’s choir, all sorts of stupid communist songs. One day, they invited a tenor from the Opera in Bucharest to sing for the miners. I was 20 years old at that time. The party used to send all sorts of strange people to all sorts of unusual places. He sang some lively songs in Italian, and the miners gathered in the cultural house applauded in apathy. — What are you doing here? You have a good voice, come with me to Bucharest, I can help you. — I’ve saved some money exactly for this. I am ready! I managed to get to the Conservatory, for an audition. I was accepted, after I had to learn the notes. I sang at the National Opera and, at a certain moment, I realized that, exactly as I wanted to escape my home village, I wanted to escape Romania. I left on tour in Germany and I returned only 25 years later, when the communism had fallen in Eastern Europe. When I returned to my village, I tried to find those I knew, but mainly those who could still know something about Mina. The only person who still knew anything about her was a gipsy. In 1952 she was a child of 14. 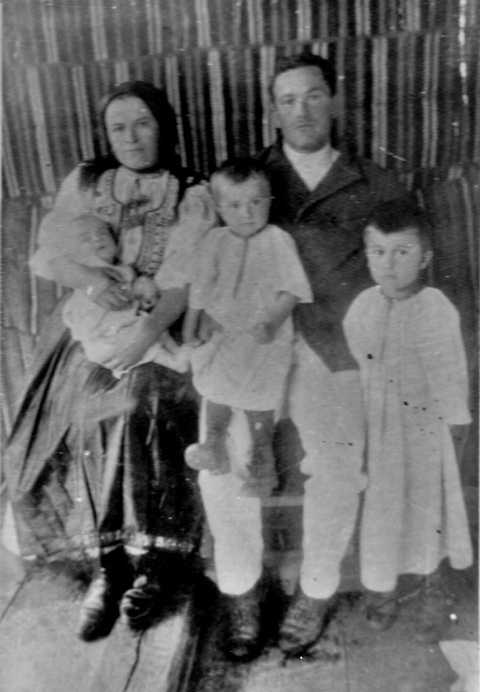 According to the gipsy custom, she had got married very young and already had a baby. To make some money, she helped the school mistress with the cleaning and the washing up. I went to the gipsy neighborhood to look for her and, after some questions and directions, I got to a skinny old woman who was smoking a cigarette without filter. Her husband had died a long time ago, but she was optimistic, surrounded by a crowd of grandchildren, from her 14 children. We talked a whole day, because I paid her story in dollars and she did her best to remember as many details as possible. After the lieutenant and the miners had left the pub, the stranger was alone with Mina. Nobody knows exactly what they spoke about, but we can very well guess. It seems the miners were helped by the school mistress to save gold nuggets, that they stole from the mine. And the pub was a kind of bank. As a matter of fact, after the events of the dat had finished, because of the mistress’ allusions, all the miners had been inquired, you could trust nobody. And the gold was discovered. It is certain that Toader, even though he knew about this gold, had never touched it. Some swear they had seen him and the mistress kissing, through the pub’s window. One thing is for sure, that night, the stranger came to Mina’s house. The gipsy was there and was getting ready to leave. She had fed her baby and her husband had already taken him home. Mina seemed to wait for someone and, a little later, the stranger came. They talked while the gipsy was spying through the key hole, curious. They spoke about their lives, about the things they liked, and when it started to snow, the young woman invited the man to stay overnight, then they kissed. Precisely at that moment, somebody knocked at the door. Toader hid and through the door entered Nicu the waiter, a miner, Sonora and Ioan C.
— Your Ionescu, miss, Ionescu from Zalău, is precisely Toader Ș, the bandit. — How do you know, Ioan? — From his lover. Yes, from Nina! From the one who sleeps with all the men in the village, we went to see her. First we went to her house and, when we told her whom we were looking for, she showed us his picture. Here you are! — OK, boys, thank you for the visit, good night! — Liar, who are you? — Out! I don’t want to see you again! — Just one word! But not in self-defense, I am accursed. It’s true, I am Toader, vagabond and robber by birth. che mio padre mori… E tutto appresi! di banditi da strada ! L’accettai. Era quello il destino mio ! mormorò una preghiera ardente: Oh Dio! ch’ella non sappia mai la mia vergogna ! Il sogno è stato vano ! — Get out! They’ll kill you… she started to cry, but I don’t care! The stranger pushed her aside and went out. It was snowing even more heavily. Two minutes later, a shot. The shot that had waken me a long time ago… The door opened wide and Toader, wounded, entered and then fell on the floor. — Don’t close the door, I am leaving… he moaned. — Come! Come inside! Minerva cried. — You’re wounded, stay, I can hide you. She pulled down the ladder to the loft and helped him go upstairs. Just in time, because, almost the next moment, Ioan C. was knocking at the door. — I am not Ioan. I am lieutenant major C. Ioan, from the Secret Police, on mission to follow this Ionescu of yours. His trail took us to your house. Where is he? — I’m sick and tired of hearing about your Toader Ș.! Well, look for him then! The agent started to look all over the place. He moved the blanket on the bed with the gun. He checked the windows and the door. — Where is he? He can’t have escaped! — I swear, he shall never have you!… Ah! What’s this? Some blood on my hand! — I must have scratched you, Mina answered, with a gasp. — No, there’s no scratch, look. Ah! Blood again! Looking at the ceiling. Drops of blood were falling from the ceiling, through the boards. Even though the woman protested and pushed him with all her force, the lieutenant pulled the ladder and got up to the loft, from where he returned with poor Toader, who was more dead than alive. — Still inclined to play a game of poker with me, Mister Ionescu from Zalău? — Enough, Ioan! Look at him! He’s fainted! Listen to me! Let us talk. What are you, Ioan? You’re just a gambler in an uniform, I saw you in the pub. And Toader? A bandit. And I? I live on the gold stolen by these miners. All three the same, thieves. You came here tonight for me, but also for him. I have a proposal. — A game of poker. My stakes are my life and this man’s! If you win, you can take me and this wounded man. But if I win, your word of honor, this man is mine. — I did not know you loved him so much… I accept, yes! And you’ll be mine! — Your word of honor? — I know how to lose like a gentleman. But I won’t lose. Minerva said she was nervous and her hands were shaking, which was true. She went to a cupboard where she kept her playing cards, somewhere behind the officer, who was sitting at the table, and, taking advantage of him not looking, she took three cards from the pack and hid them in her stocking. They started to play. The tension was high. — It’s terrible to think that a poker game can decide a man’s life, she whispered, while a big drop was falling on her cheek. — We play two out of three, ok, Ioan? — How many? Ioan was giving the cards. — What on earth could you like in a bandit? — And what do you like in me? Forget this! What cards? — You’ve won, Mina. This time. Next! The agent had a sure, but nervous voice. — Two aces and a pair! — And now, Ioan, this is going to decide? — Well, I think only this, that tonight you will be mine. I don’t care about the rest. Three kings! Look here: I am winning! — Ooooh! I’m fainting! Ioan, I’m sick! Do something! The school mistress was as white as a sheet. The officer was up on his feet and was looking around, for a glass. He had turned his back to Minerva, so that he could get some water from the bucket near the wall. In the same second, the woman replaced the three cards with those she had under her skirt. Ioan gave her the glass. — This is why you’ve fainted, because you’ve lost! — You’re wrong. It’s because of joy. This game is mine. Three aces… and a pair! Ioan left on the spot, and Mina, as if possessed, fell down on the floor, near her lover, laughing and crying at the same time. This is how things happened and this is when I understood. First of all, I understood that I had made the correct guess. And I am not talking about the story, that I had anticipated already, but I understood that I had a clear destiny, planned from the very beginning. I don’t know how many of you are familiar with the opera. You can be sure that in the ‘50s, in Roșia Montană, nobody knew nothing about opera. After leaving Romania, I knocked at the door of several opera theaters, and I had auditions. I was dreaming, like any other tenor, of singing the great parts in famous operas, like Tosca or La Bohème, Turandot or Il Trovatore. At first, there was no place for me, nobody knew who I was, and these parts belonged to the stars. I was offered the main part in a Puccini opera, one the critics and the public did not love very much, and which was staged rarely. I would have refused if the proposal had not come from the Metropolitan Opera in New York. Who would not dream of singing there! It was La fanciulla del West. I did not know the opera when I signed the contract, I just knew what my agent had told me – that my voice suited the tessitura of the part. When I started to study the libretto, I felt sick. It was a love story between a girl from the Wild West, from a village of immigrant miners from the times of the “Gold Rush”, and a bandit. Who was not exactly a bandit, and this was the character I was supposed to play. And his rival was the sheriff. The girl’s name was Minnie. Jack Rance was the sheriff, and Ramerrez the bandit. Ramerrez is hurt and saved from being caught by a game of poker where Minnie cheats in front of the sheriff. When finally caught, he sings an aria of extreme beauty, where he expresses his last wish: that his lover does not find out he was executed. In the very moment when he is supposed to be hanged, Minnie appears on a horse, like an Amazon, and saves him. On stage I was Ramerrez. I knew this part was going to be my vocal signature. Because, in my mind, Ramerrez was Toader Ș., Minnie was Minerva, and Jack nobody else but the lieutenant Ioan C. I had lived this opera, but nobody knew it. And I sang the part exactly as it had been in real life, because I had witnessed it. I must admit it, it was a huge success. Everybody was asking me how I had this idea of singing the aria in the end, Ch’ella mi creda, like I did it, with tears in my voice. Not to mention the fact that, for the world’s premiere, in 1910, the bandit’s part had been played by Enrico Caruso himself! The comparisons with this God of the tenors were present in all journals. The opera fans called after me in the street: “Ramerrez, you see, that’s Ramerrez!”. Even though the opera was not very popular, it seems that I was so good in this part that one night they even broadcast it live on TV. I did not have an answer, only the conviction I was living a destiny. That I had lived an opera and, later, I sang it on stage. What could I have explained? 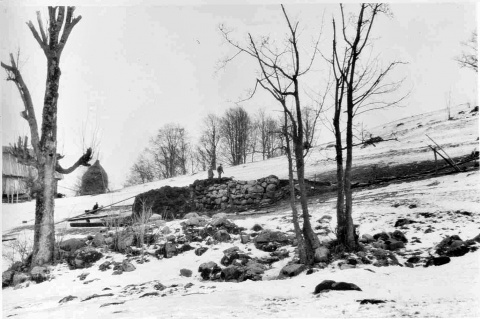 Everything I wanted to find out afterwards was what had happened that winter night, in Roșia Montană, in 1952. I needed a confirmation of what I had already found out from the gipsy woman. The game of poker had taken place in real life exactly as in the Act II of the opera. And on top of all this, the libretto mentioned a gipsy – as the action was taking place in the Wild West, Puccini made her an Indian. And everything I want today is to stage La fanciulla del West as I know it, as things really happened. In the mountains of Romania. Note: Any resemblance to real persons or events is not coincidental, on the contrary. Even the Societatea “Mica” existed. Toader Șușman jr. was a real person and was an anticommunist fighter. So was his father, Teodor Șușman from Răchițele, also called “The father of the mountain people”, killed by the Secret Police in 1951. Their story is even sadder than this, life was better than the movie, and you can hear it directly from a survivor: Povestea familiei Șușman istorisită de Traian Șușman. And if you do not have the patience to read it, you can read a summary dedicated to Teodor Șușman. There were also women who followed their men in the mountains, Mina has her correspondent in real life more than you could ever think. And you can see at least a part of a real league of the extraordinary women on this very blog. As far as tenors with a destiny are concerned, I know at least one. 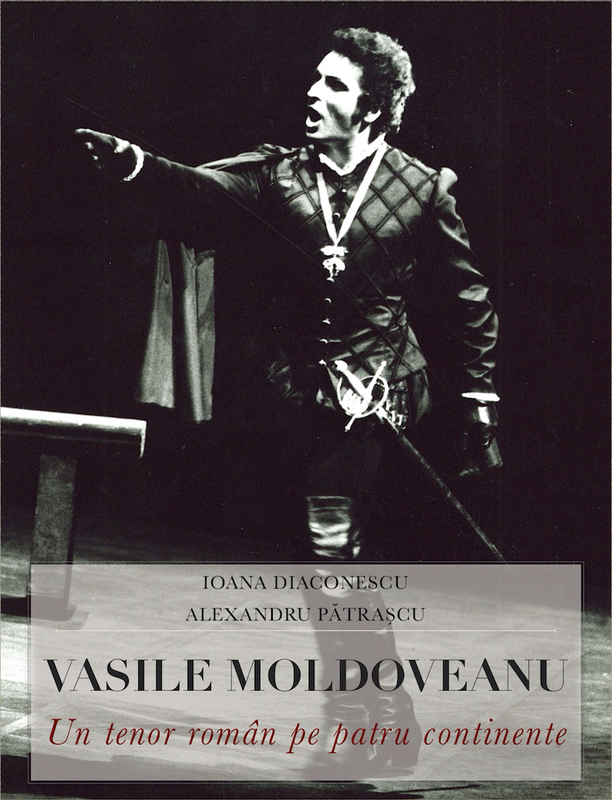 His name is Vasile Moldoveanu and he sang at the Metropolitan Opera for 105 times, more than any other Romanian tenor. About the operas he sang, you can find more information in these articles:Tripticul lui Vasile Moldoveanu and The American Dream. And you can also revisit the article about La fanciulla del West. Update: The story in this article is nothing else but a “staging” of Puccini’s libretto for La fanciulla del West into a Romanian context. 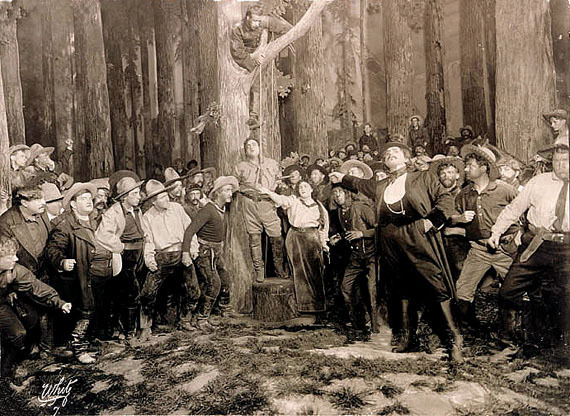 Puccini’s libretto was inspired from David Belasco’s play – The Girl of The Golden West, well known in the United States at the beginning of the XXth century. Some lines are translated from Italian. If in 1910 the subject brought to the spectator’s memory events spent 50-60 years before, if some of the episodes were authentic (Jack Wallace’s ballad in the Act I, the blood dripping in Act II, even the existence of the character Minnie), it is logical to get to the question: What would Puccini’s opera look like in a Romanian staging, in 2012? Here is a solution: to put the drama in the context of different events that took place in our country, 60 years ago. The theory is valid if we base it on the fact that drama becomes more credible than in the original libretto, as the character of Ramerrez is not a rascal anymore, but a positive character, which better explains the end, in which “the tenor gets the girl”. On the other hand, the interest raised by this article, due mainly to the fact that I placed it in Roșia Montană, makes me think about a few things. In the XXIst century Romania, there is a passionate public discourse for or against the exploitation of gold in the Apuseni Mountains. No matter who is right, we have here the rebirth of the “Gold Rush” phenomenon of, more precisely, of the “Gold Fever”. Isn’t this a little old fashioned? Around 150 years have passed since the westerns were part of daily, real life. I am wondering if this fake entrepreneurial liberalism opposed to a fake ecological nationalism does not betray precisely the difference, the delay and, eventually, the fake public discourse in the Romanian society? What was supposed to be just a dispute to be technically and legally solved between some ministries and a private company has become a political stake, in the name of which the power and the political opposition got to manipulate their electorates. It is also clear that the trade with natural resources in small quantities cannot be a solution for a country’s economy, and the tourism in only one mountain village cannot work wonders. And then, how is it possible that this dispute flares up the entire country? The manipulation sustained by the political propaganda finds its suitable echo in the national-communist mentality of the population. Did we really get rid of the communism?